Learn about Concrete, Electrical, Framing, Codes, Roofing, Solar and more! 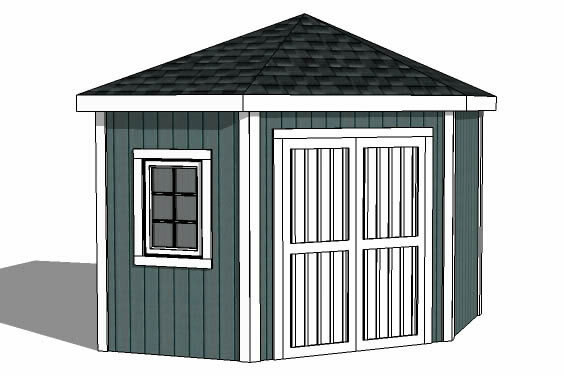 iCreatables has over 400 Backyard Shed Plans to help you build the perfect Storage Shed! At iCreatables we pride ourselves on sharing all the knowledge we have about shed building. Our extensive written and video library includes just about every How To Build A Storage Shed tip we can think of. We are continually adding to it to make it easier to understand and more user friendly. So if you want to learn how to build a storage shed then make iCreatables.com your first stop. Our storage shed plans library is the largest in the world and each shed was designed to fit a specific size and look to meet every need. 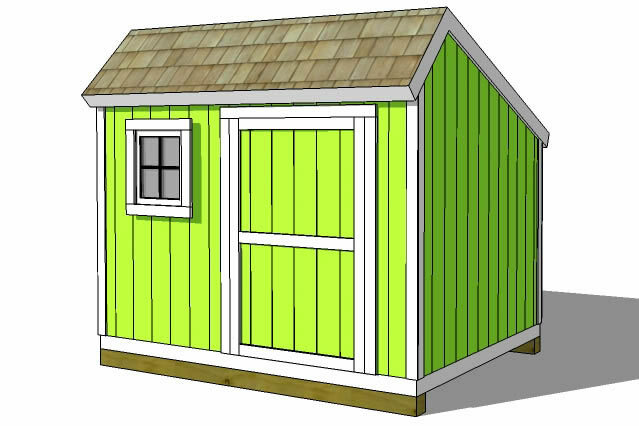 CLICK HERE: How To Build A Shed Tutorials and Instructions. CLICK HERE: How To Build A Shed VIDEOS. At iCreatables.com we love designing and building sheds! Our shed plan library represents our commitment to providing shed plans that are well designed and as a result help you to have a good shed building experience. We are the top shed plan site on the internet and we provide an easy way to buy shed plans to get your shed building project off the ground. 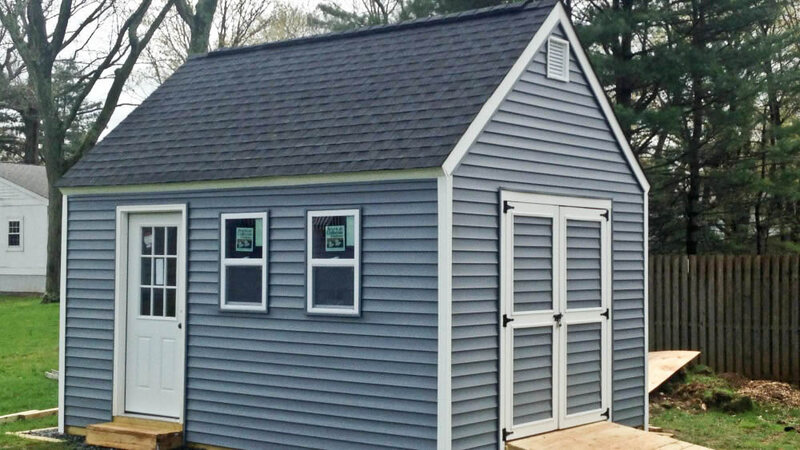 We simply love to design sheds and find better ways to build sheds that are functional and meet the needs of your project. Planning a construction project takes as much time, if not more, than actually building. 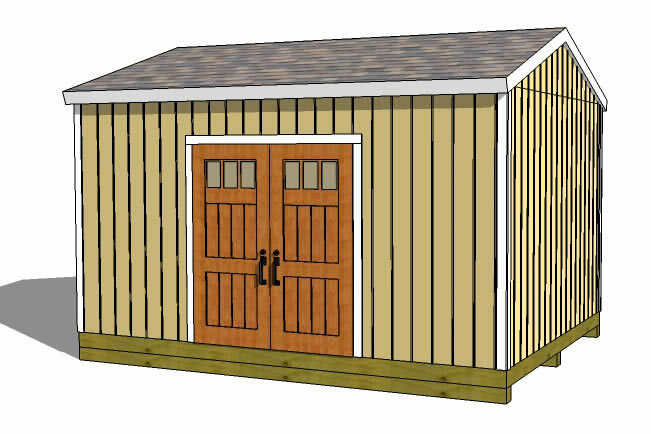 Things to consider are what size and style of a shed should be built. How much will the project cost. What are the building requirements for my local town and if I live in a homeowners association community what other restrictions are there? 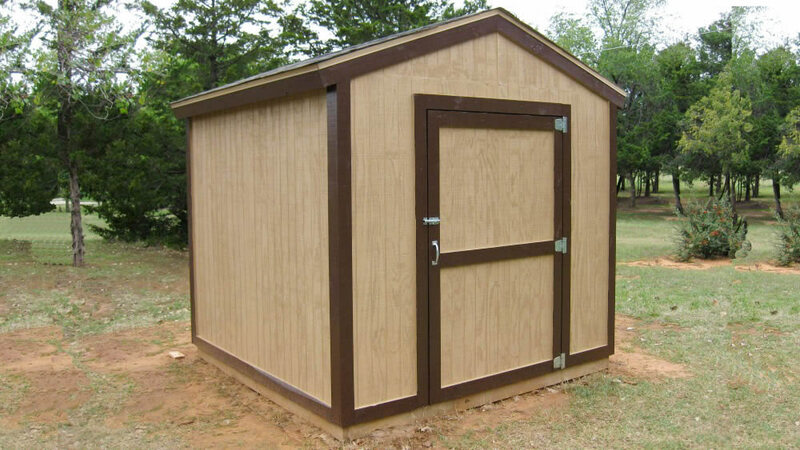 Maximimum Square Footage For Sheds: Many areas have a shed size requirement of 200 square feet or less and some areas have a requirement of 150 square feet or less. Anything larger than the maximum size will require a building permit. Shed Building Setbacks From Property Lines: There are typically requirements for setbacks from property lines, even if you do not need a permit. In most areas it is 3 feet, but check your citys website for building codes or call them to find out what they are. It is good to get any codes related to building a shed in writing, ie. from a city handout or on their website, so you know that you are building in the right spot. 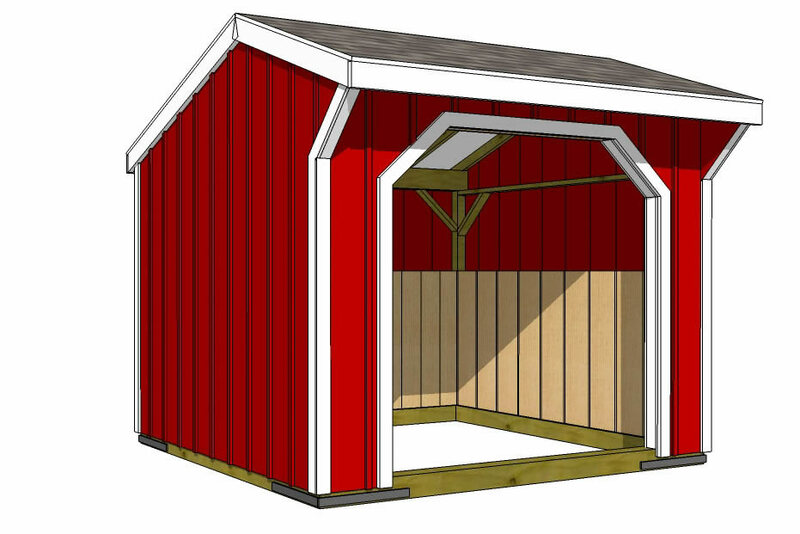 Shed Building Height Requirements: Accessory buildings have height requirements, even if they do not need a permit. 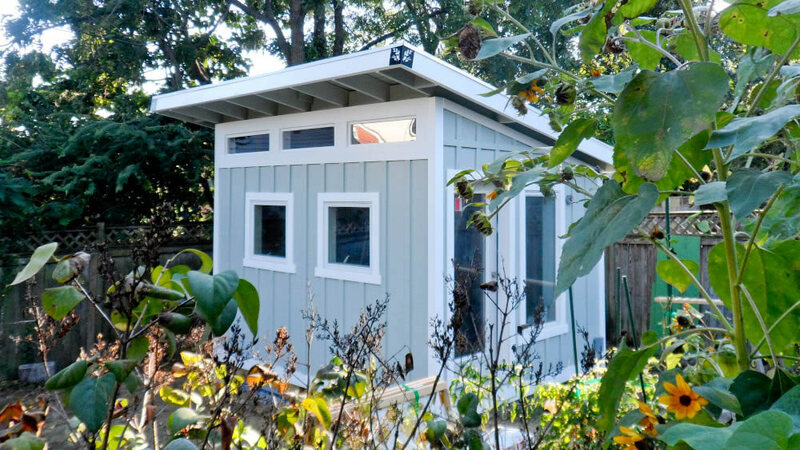 So you need to find out how tall your garden shed can be. Some sheds with lofts or steep roofs may be close to the maximum height because sheds with steep shed roof framing are the tallest. 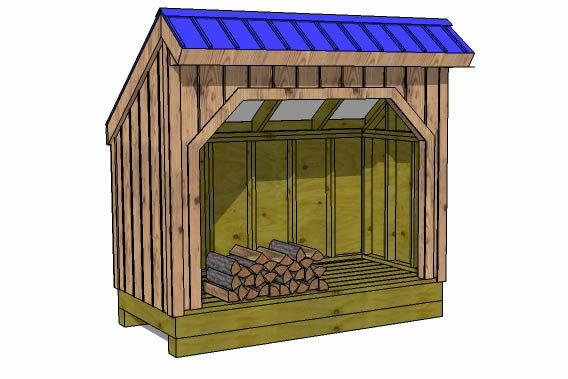 When people start thinking about building a backyard wood shed it is usually because they have something they want to store that they do not currently have storage space for or they need additional living space, like for a office, a work studio or workshop. A simple way to figure out how much space is needed is to find a room in your home that you think is close to the size you would like to have and use a tape measure to find out the dimension of it. After you know the size you would like, and how much the city will allow you to build, you can take the dimensions of your shed out to the space you intend to build in and layout the corners of the shed on the ground. It works really well to use a garden hose to outline the floor of the shed on the ground where you want to build it. Picking the location of your shed requires a bit of planning. There are several factors that will help you pick the best spot. These include city shed building codes, the size and access to the shed. Setbacks: City codes will affect your shed construction, even if you do not need to get a building permit. It is wise to check what the city or county offices or homeowners association requires for setbacks from your property lines. 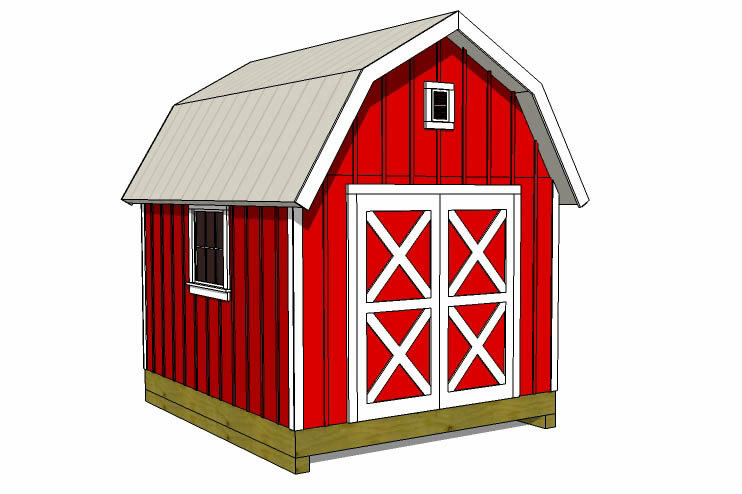 See the Local Shed Building Requirements section above for more information. Access To The Shed: Where the doors are on your shed and how large they are have an effect on how you use the shed and often the landscaping around the shed. Care needs to be taken when picking the outdoor shed plan. Most of our sheds allow for the option of putting the shed door on other walls than the one shown on the plans. 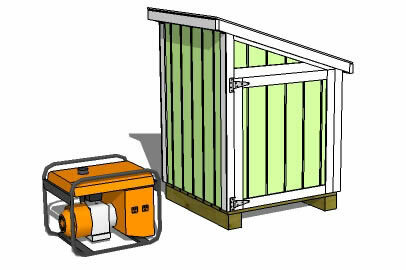 Our larger lean to shed designs come with drawings for the shed doors on any of the 4 shed walls. Deciding between single or double doors is typically a factor of the size of the equipment that will be stored in the shed. 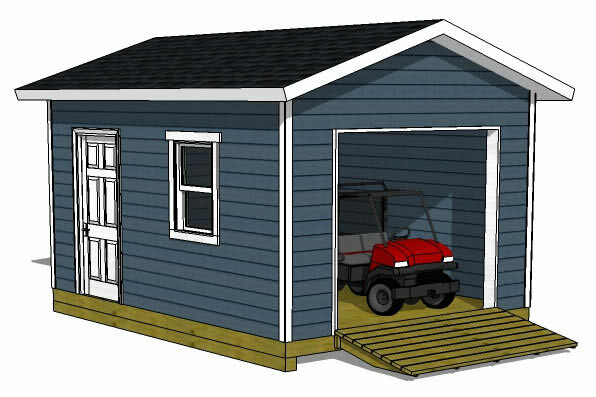 If the shed will have a ramp to move larger equipment into the shed you will need space in front of the storage shed when moving things in and out. When figuring out how to build a shed floor you will want to consider the floor height above the adjacent ground. The height difference will affect how things are moved in and out of the shed. If the shed floor is framed on sloping ground you will need to install piers to hold it up. Size Of The Outdoor Shed Plan: The size of shed you build is determined by several factors but when considering were to build it you will need to make sure that there is sufficient room. 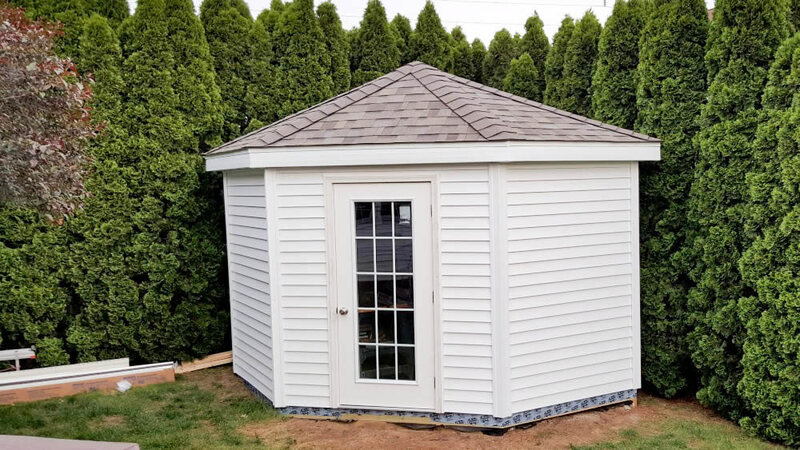 Double check your available space before ordering your backyard shed plans, we sometimes hear from people who email and say that they need to get a different size because they are either want a larger shed or the backyard shed plan they bought will not fit in their available space. There are many ways to finish the inside of your new shed. From basic storage space to high end office space to a workshop, art studio or workout studio. The help does not stop when you buy shed plans. We have resources to show you how to install Concrete walkways, Electrical, Roofing, Framing and more. 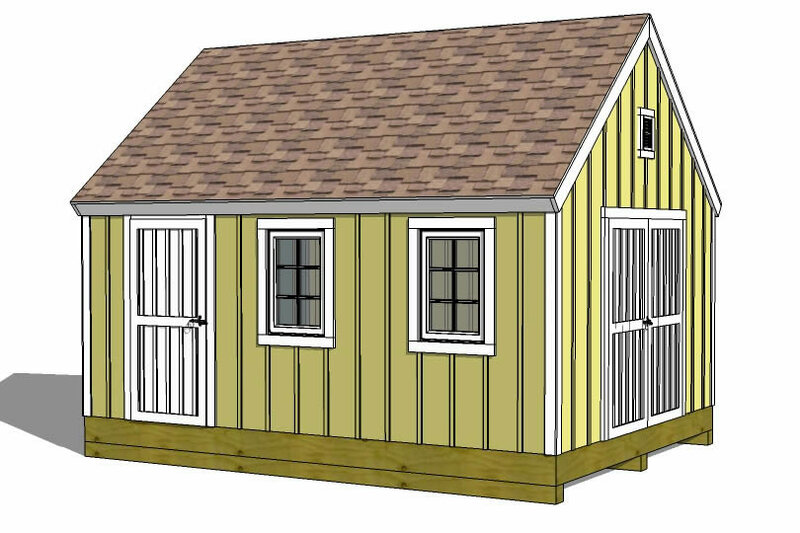 There are many styles and sizes of shed plans, each with its own unique shed design features. Picking the right shed is easier than you might think. 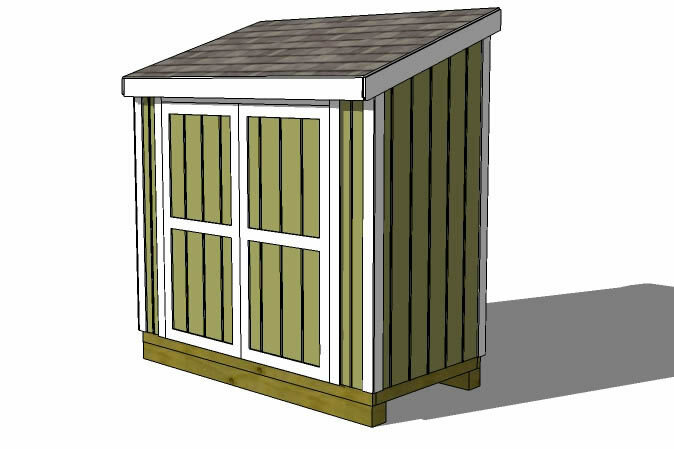 At iCreatables we have categorized our shed designs into categories that relate to specific design styles. Each of our storage building plans fits into one of these categories. 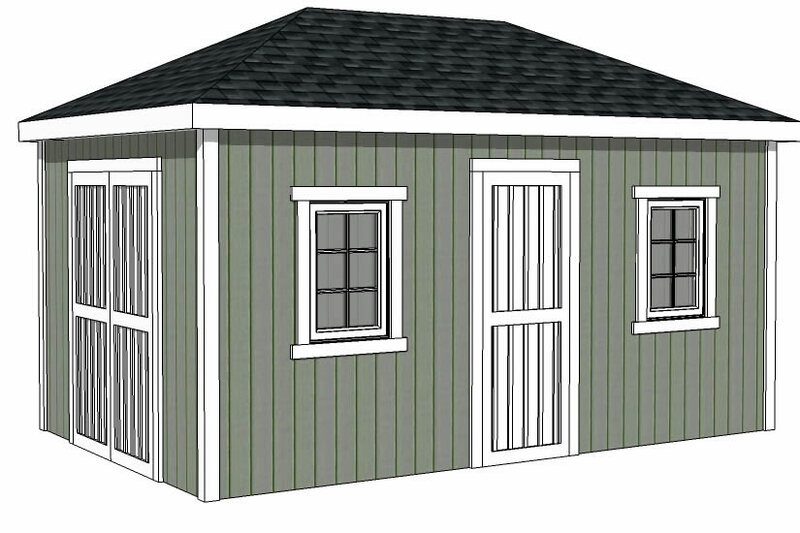 Our Backyard Shed designs represent the basic style of shed. These features make them cheaper to build and simpler to build. They are reconized by lower slope roofs, no roof overhangs and often the option to build your own door. Our Garden Shed Designs include features that make the shed look at home in just about any yard or garden. They are defined by steeper roofs and roof overhangs that are longer than regular backyard sheds. They also often have windows and covered porches. Outdoor shed plans are simply any shed that is built outside, which most of them are. But sometimes we see sheds being built under decks and even inside larger warehouse sized buildings. So if you are searching for an outdoor shed plan any of our plans will fit this category. These two categories can technically be applied to any of our shed plans. 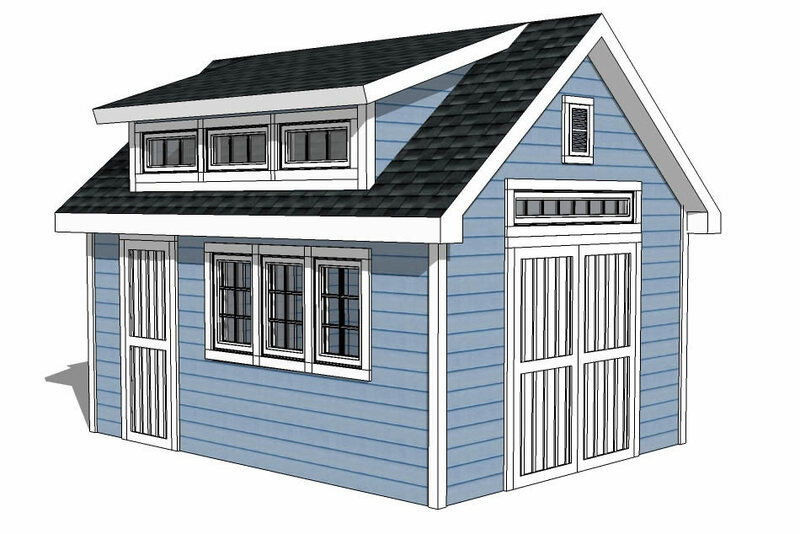 But most often when people refer to a storage building plan or a storage shed plan they are wanting a shed for storing. What a shed can store depends on its size and construction. We have had people store everything from lawnmowers, generators, yard tools and bikes to larger items like riding lawnmowers, motorcycles and even trucks! Gambrel sheds are a special breed of shed designs. 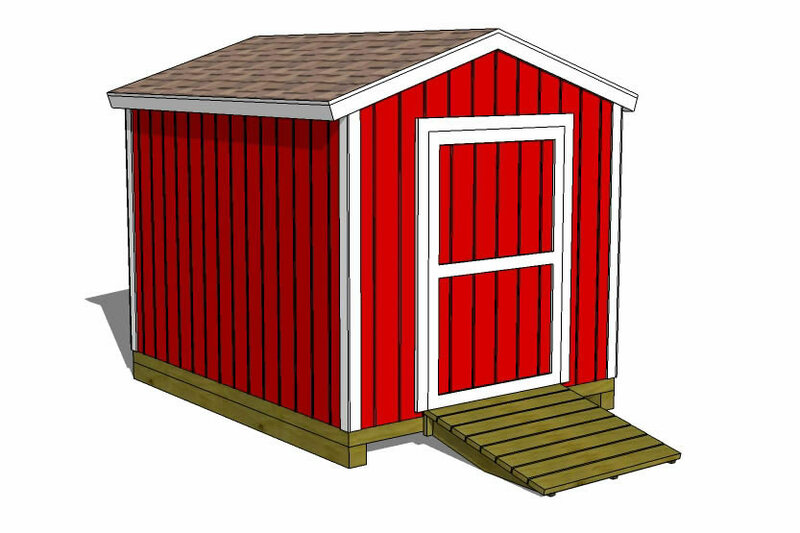 The roof on a gambrel shed has 4 roof planes. This roof design give the loft area under the roof a lot more room than a regular shed roof. The loft in our gambrel shed provide almost double the floor space, with the only limitation being the access area to get up into the loft area. These designs look like the iconic classic small barn style. 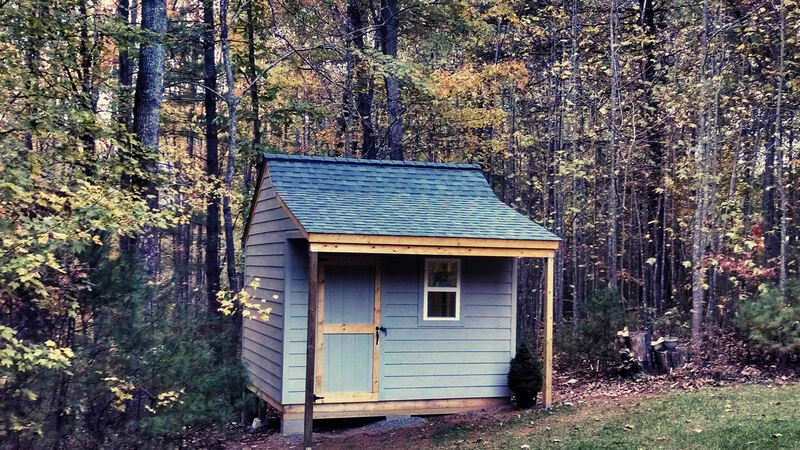 This category is defined by sheds that are finished on the inside to be nicer work spaces. They are used for everything from home offices to yoga studios to art studios. The finishes are as simple as just electrical to fully finished with hard wood or tile floors, insulation, drywall, paint and trim. Though most sheds are built using wood a wood shed is used to store firewood. This helps to keep the wood dry and out of the elements so it does not go through repeated wet and dry cycles which promotes rotting of the wood. 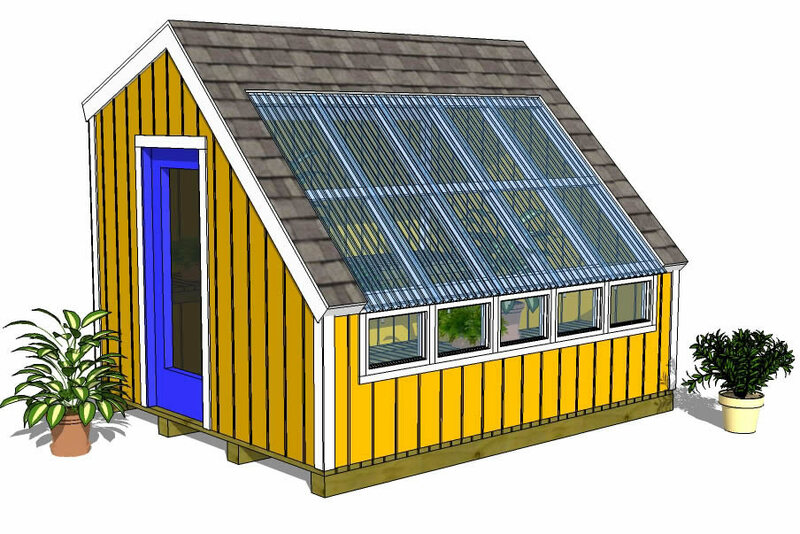 Over 20 videos showing how to build regular gable roofed sheds and lean to shed designs. Videos on how to frame door and window openings in sheds. Roof Pitch Of The Shed: If you want to match the roof pitch of your shed we offer to send you rafter drawings for any of the common shed roof pitches these include, 2 in 12, 4 in 12, 5 in 12, 6 in 12, 8 in 12, 10 in 12 and 12 in 12. Simply reply to the email you receive from us after ordering and let us know what slope of roof you need and we will send the additional shed roof rafter drawings. They will replace the pages of the drawings showing the backyard shed roof framing information. You can also learn how to build roof rafters for your shed by watching our how to build a shed videos or reading our on site information. The roof pitch will also affect the roofing material you use. Most asphalt shingle manufacturers require that you meet their minimum slope. If you install the shingles below the minimum slope you will need to install an additional layer of waterproof membrane under the asphalt shingles. Most roofs that are 3 in 12 or steeper can have asphalt shingles instaled normally. Cost to build a shed: The cost to build your shed varies depending on the shed design and the size of garden shed you build. The main contributing factors to finding out how much it costs to build a shed are the size, style, roof design, exterior finishes, interior finishes, windows and doors. All things being equal, the size of shed you build has the greatest impact on the cost of the shed. The cost to build a shed can be broken down to the cost per square foot. Most sheds cost between $10.00 to $15.00 per square foot to build the outer shell, ie. the floor walls and roof. 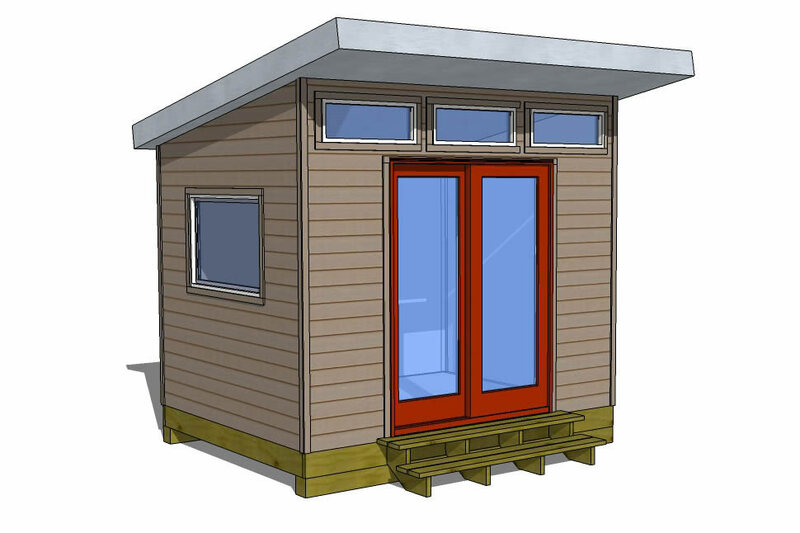 The simpler the shed exterior finishes the lower the cost. 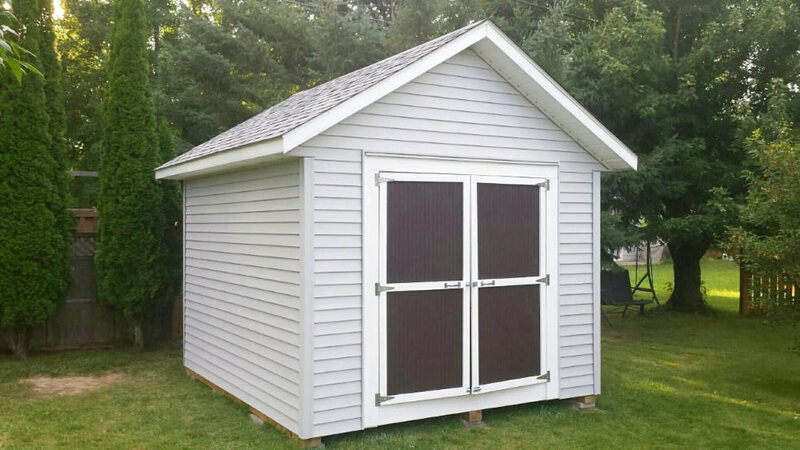 So if you have a shed with sheet siding and no shed windows and a home built door it will cost less than a shed with a steep roof, lap siding, shed windows and a factory built door. iCreatables offers to send you the materials list for any of the sheds on our website free of charge so you can get local pricing.